Your contribution to FreedomWorks for America will help elect principled fiscal conservatives to the House and Senate and stop the Left's radical agenda. Unlike traditional Political Action Committees (PACs), FreedomWorks for America has no individual contribution limits, so please give generously. Funds are the personal funds of a United States citizen or a lawfully-admitted permanent resident. If corporate funds, the corporation is a U.S. corporation or a U.S. domestic subsidiary, and are not funds of a federal contractor or national bank. The donor is not being reimbursed for the contribution. 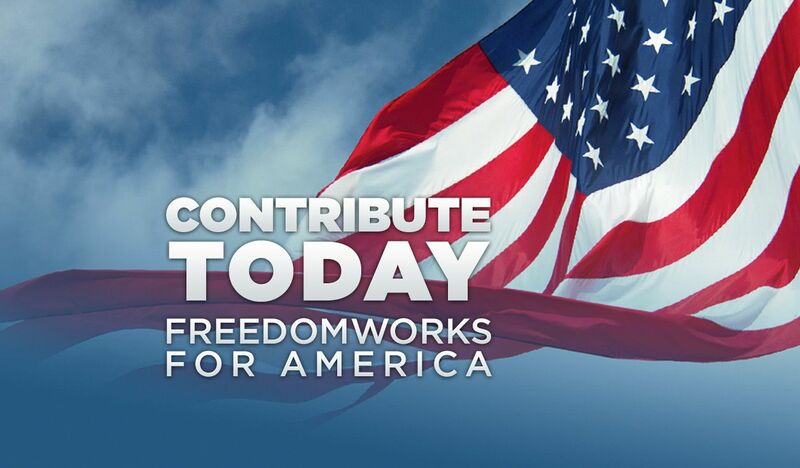 Contributions to FreedomWorks For America are not tax-deductible for federal income tax purposes.